Action Logement, the body responsible for collecting the participation of companies in the construction effort (ex-1% Housing), announced Thursday, January 10, a "Massive investment plan of nine billion euros over four years", from 2019 to 2022, for the housing of modest employees. "In the debate on the purchasing power, and to respond to the urgency of a major housing crisis, we want to strengthen the social utility of the 1% and have adopted this voluntary plan, unanimously trade unions employees and employers ", congratulates Bruno Arcadipane, its president, representing him, the Medef. The first is to help, through grants and subsidized loans (up to 20,000 euros per file), tenants and modest owners to renovate their homes - especially to improve thermal performance - in dedicating one billion euros. A second priority is the adaptation of housing to the aging of the inhabitants, for example by replacing Italian-style showers with old bathtubs, which are the cause of a large number of domestic accidents. Two billion euros will be spent, which will also be used to renovate the 540 homes for seniors belonging to Action Housing or its partners. The third project focuses on the fight against the degradation of old housing, including the 600,000 substandard housing units in the Hexagon (€ 1 billion). 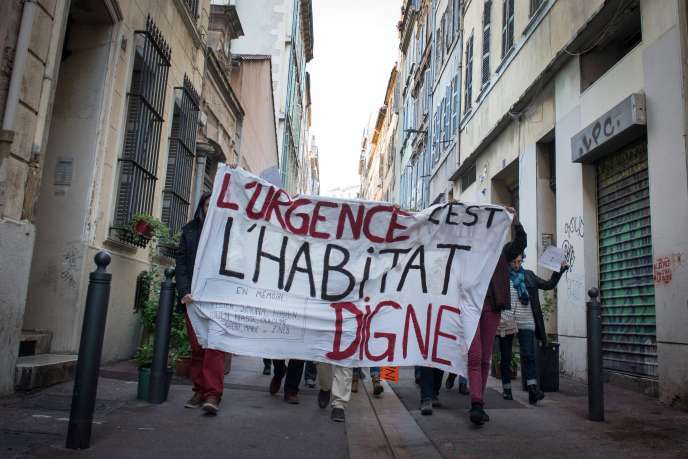 Action Logement intends to buy, through its subsidiary Association Foncière Logement, lots in condominiums in difficulty and, in areas where there are many, vacant apartments to, if necessary, demolish them - HLM agencies encrypting at 8,000 units per year the demolition needs. In addition, 350 million will be allocated to the mobility of employees, helping them to move (1,000 euros per file) and financing the creation of shared workspaces. One component is dedicated to overseas housing (1.5 billion euros). True to its original mission, the former 1% Housing also wants to increase the supply of social housing, transform vacant offices into apartments (1.5 billion euros) and promote home ownership, especially in medium-sized cities. To this end, it will resort to the new legal formula of the Solidarity Land Organization (OFS), currently tested in Lille, soon in Paris and in dozens of cities, which considerably reduces the price of accession. With this arrangement, the housing belongs to the buyer (subject to resources), but not the land, which remains the property of the collective body guaranteeing the durability of this advantage to successive buyers.